You can pay your library fines and fees online through our secure site. Access the online payment site here, or select "Make a Payment" from the "Useful Sites" menu on the right, or from the "About Us" drop down menu above. Log in with your library card number and PIN. You will be able to select which fines or fees you would like to pay. There is a minimum payment of $1.00 required for online payments. Didn't find what you were looking for in our catalog? Try Zip Books! Zip Books is a service for customers to request books and audiobooks that are not in the Stanislaus County Library's catalog. The item is delivered to your home for a three-week checkout, free of charge, using Amazon Prime. More information and request form. Due to extreme popularity and demand for the Hoopla service, each library card holder will be limited to 5 checkouts per month, starting March 1, 2019. In an effort to make this popular service available to more customers, it became necessary to reduce the monthly checkout limit. Thank you for using the library! Free online access to the New York Times from 1851 to present, including newspaper content, multimedia, including videos, Spanish and Mandarin versions of nytimes.com, and more. To activate your subscription, register with the nytimes.com or log in with an existing account. Detailed access instructions here. Your ticket to a world of adventure, learning and fun! Discover & Go is a museum pass program that provides California library cardholders with free and discounted tickets to local museums, science centers, zoos, theaters and other fun cultural venues. Residents of Stanislaus County can reserve passes with a valid Stanislaus County library card and PIN. Discover & Go information. 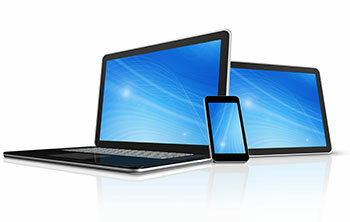 With our MobilePrint Service™, you can use your personal computer on mobile device to print to the library's printers from anywhere. Simply submit documents for printing and come to the library to release and pick up your document using your library card. This service is available at all Stanislaus County Library locations. 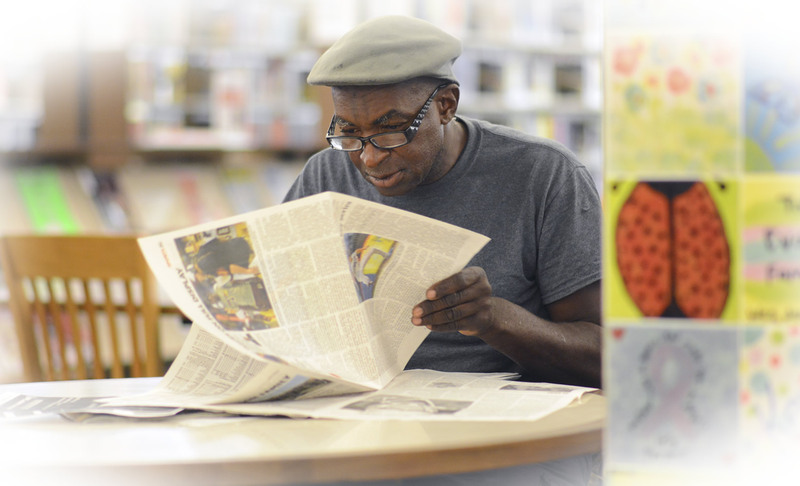 Sign up to receive news about library programs and services delivered straight to your inbox! You can now subscribe to the library’s monthly calendar of events, as well as periodic email blasts from your local library. These emails come in an engaging format that are easily accessible from a computer or mobile device. You can be a part of preserving history! 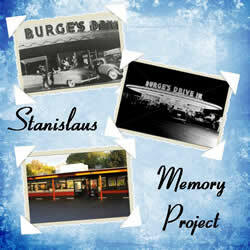 The purpose of the Stanislaus Memory Project is to collect, digitize and preserve photos, videos, audio, documents, and objects of historical significance, in order to preserve the unique history of Stanislaus County. The project was initiated by collecting materials related to Graffiti, cruising, and the local car culture. In the future, materials related to other aspects of the county’s history will be added. The public is invited to submit photos or other materials for possible inclusion in this collection of Stanislaus County history. Please contact the Library if you wish to contribute to the Memory Project or have an idea for a future collection. The Stanislaus County Library is excited to offer LINK+. This is a free service which allows Stanislaus County Library customers to borrow books and media not available in our catalog from academic and public libraries in California and Nevada. LINK+ is a combined catalog of over 9 million unique items. More information available here. Access your "my Social Security" account, view and apply for benefits, access forms, and more. Find information about the Flu (Influenza) and learn how you can protect yourself and your family. Flu Symptoms & Severity - Information from the Centers for Disease Control and Prevention. Information about Influenza - Information from Stanislaus County Health Services Agency. 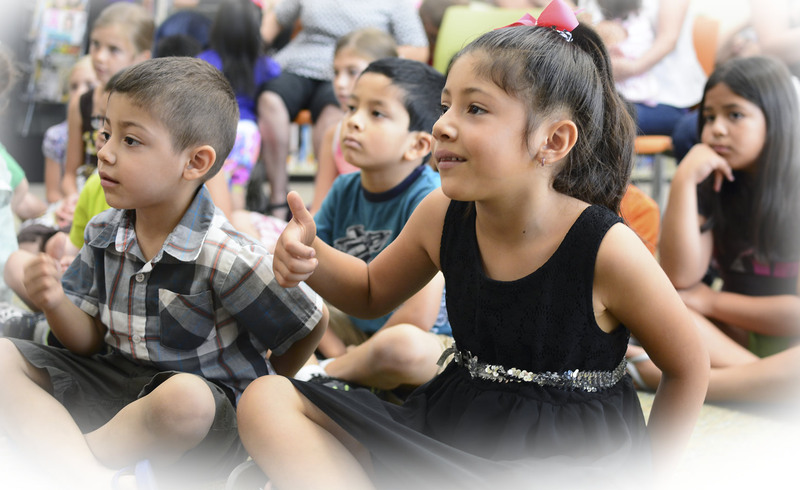 Learn about happenings at Stanislaus County Libraries in the 2017-2018 Annual Report available here. The Stanislaus County Library has two locations offering Passport Acceptance services by reservation only. Appointments must be made online. Please have all necessary paperwork ready and arrive before your appointment time. Complete information and access to the reservation site is available here. Not sure where to start your family history research? 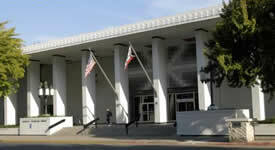 Visit the Modesto Library. Members of the Genealogical Society of Stanislaus County offer free, personalized assistance in the Special Collections Room every Monday from 10 am - 3 pm. Also available by appointment. For more information, please call (209) 558-7814. Military personnel, veterans and their families will find information regarding benefits, housing, education, employment, and healthcare at the Modesto Library Veterans Resource Center. More information here. In partnership with DrivingTests.org, the library now provides 24/7 online access to the California Driver Manuals for vehicle, motorcycle, and commercial driving, plus practice tests. Take a few minutes to view this inspiring project. War Ink emerged out of a need to recognize veterans' service and sacrifices and to bridge the divide between the veterans and civilian communities. This is both exhibit and forum, using tattoos as a springboard for California veterans to share their stories. Stark, beautiful, disturbing, and often darkly humorous, these tattoos are visual expression of memories and emotions that can be difficult to discuss openly. Here's your opportunity to grade California on various issues facing our state. Anyone can participate by taking a few minutes to assign grades to the state of California on timely issues including healthcare, education, and immigrant rights. Participants are then invited to enter an online "Cafe" to propose issues for future versions of the platform. 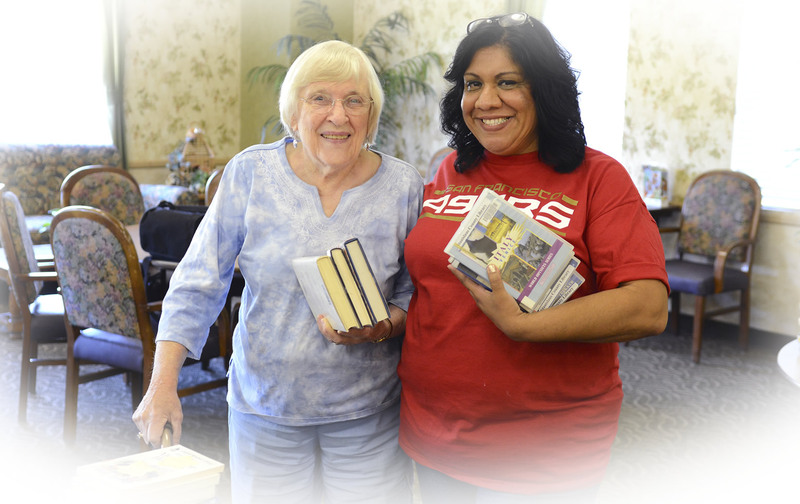 We are a system of 13 libraries located in communities throughout Stanislaus County. 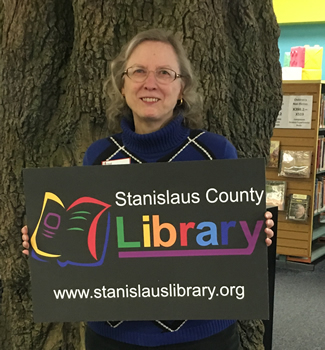 Stanislaus County Library engages all members of the community and offers access to information, knowledge, and the tools for innovation and personal development. We provide information and reading material in print and electronic formats. 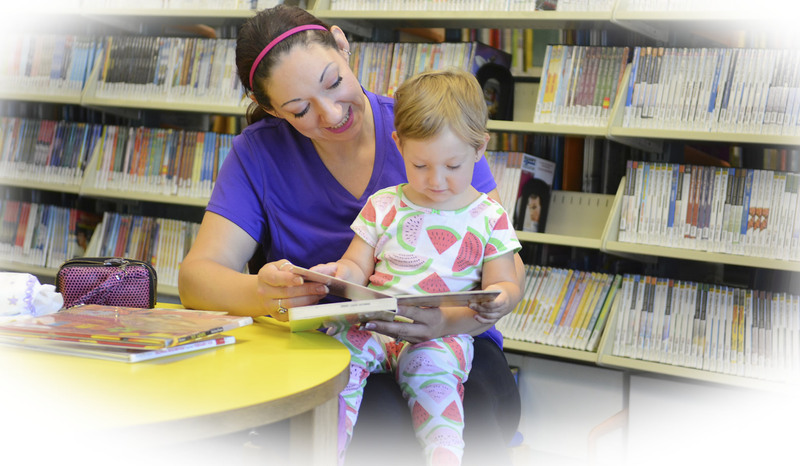 We provide special programs for children and teens, designed to enhance learning and encourage a lifelong love of reading. We provide presentations on various topics of interest for adults. We offer a passport application acceptance service. We offer language learning materials. 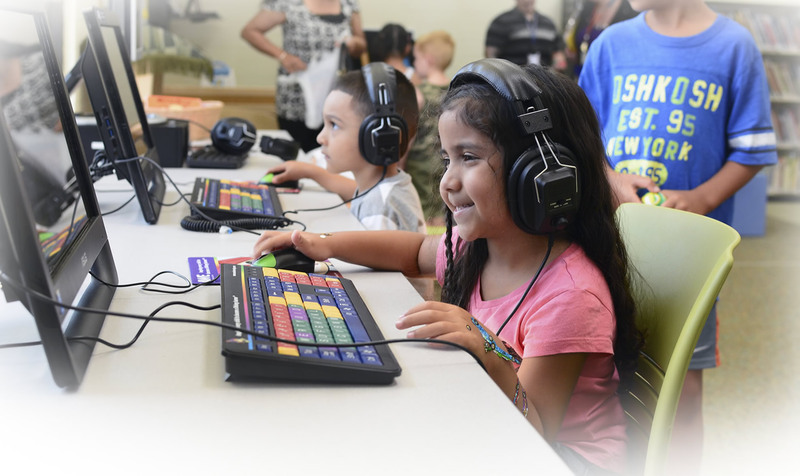 The Stanislaus County Library provides books, books on CD, magazines, newspapers, digital movies, music, TV, and magazines, downloadable audiobooks, premium content databases, a mobile app, and language learning software. The library also offers a robust line-up of programs and presentations that enhance learning at all levels. When placing holds in the catalog, please select the pickup location from the drop down menu. Choose "Stanislaus_Library" in your devices's Wi-Fi settings. A browser will open and display the Wireless Internet Policy. Click “Accept” on the Wireless Internet Policy to begin your Wi-Fi session.